Athletes use an overhand throw particularly for greater distances and also for velocity. 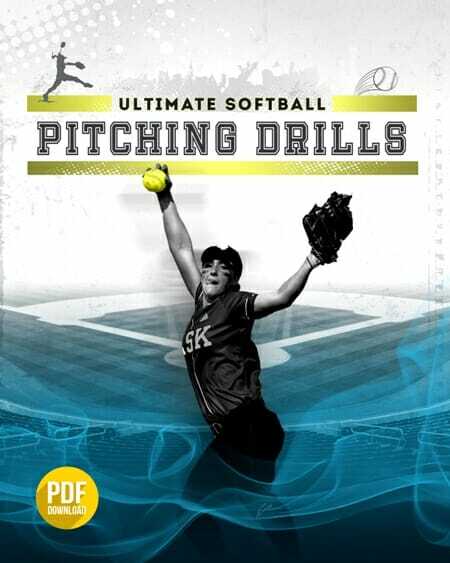 But there are a number of other reasons an overhand throw is beneficial in the game of softball. An overhand throw provides you with much more accuracy. In terms of a throw that may be in the dirt, it tends to bounce back up because you’re coming over the top. You have a much stronger and more natural throw. An overhand throw is preferable to a side arm throw because the pitch that comes from a side arm position has a lot of wrist and elbow turn to it. And that varies from throw to throw. 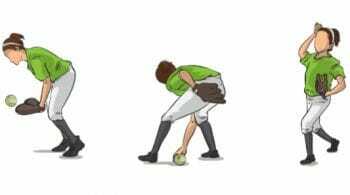 So at times, the ball will tail. If it does hit the ground, it tends to spin off left or right. On an overhand throw, the point of a release is always much higher up. 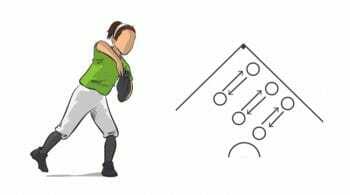 It’s much easier for a teammate to see the pitcher with the ball higher up and follow the flight of the ball to their hands than it is for a ball that comes out from behind the bod, where it’s hidden momentarily. The last point, in terms of using an overhand throw versus the side arm throw is simply injury. With all the twisting of the elbow and the wrist, this can eventually result in some kind of injury either to the wrist or the elbow. If an athlete can take a ball with two fingers rather than the whole palm of the hand, it helps keep the ball out of the palm. You’re going to have a better, livelier wrist and the thumb will be located underneath. When you bring the ball in into throwing position, it’s important to bring the hand in towards the body. That immediately forces the elbow out. In order to teach that, you can start with the side stride position. If you’re in the gym, use lines, or if you’re outside you can use chalk lines, foul lines, etc. Use that line to line up on a side stride position. From that position, we’re taking the ball and bringing it back. You’ll notice the elbow goes back and goes up. As we do this, the body starts to rotate. The elbow goes back, the body goes back. We now have a straight line. As we do this, we also include the left hand, the glove hand. The thumb is down and we have a straight line from shoulder to shoulder to the target. The lead foot is the stride foot–the one that will give us our direction. If we throw in that direction, that is where the ball is going to go. If I want to throw straight forward, my stride foot goes to the target. Always check “Is the arm up or is it down?” and “Is the hand in or is it way out? When you throw the ball, you are going to lead with the thumb. Don’t let this wrist stop, change direction and then throw. You’ll lose some of your wrist speed and velocity, which is gained by the arm and wrist speed as you release. Bring the arm back, coming over the top. Bring the arm glove in. As you make your throw, think of extending the wrist to your target. Extend all the way through and finish. You should also end up flexing at the waist. 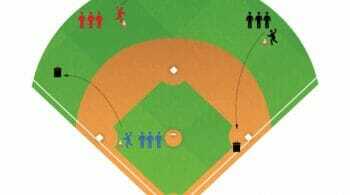 The harder you throw, the greater the distance and velocity will be achieved, and it may cause your player to fall forward slightly. Too many times you’ll see a person throw and lock too far back–they never bring it through. So be sure to throw that hip towards your target and finish with it. One of the things we like to do is line all the players up and everybody throws at once on cue. 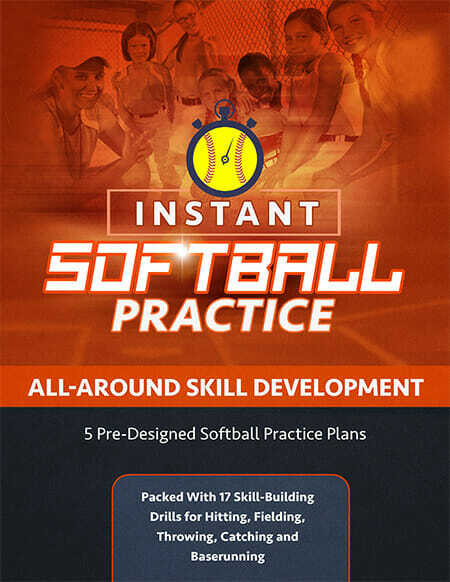 So very quickly, as a softball coach, you can look down the line and see what their follow-throughs are. You can stop them and check down the line very quickly where their elbow is at. 1 Response to "Breaking Down The Overhand Throw"